Well my apartment is almost completely packed now and I’ve started to seriously work on packing my suitcases. My baggage limit for American Airlines is two free checked bags, under 62” and 50 lbs. I attempted to weigh my suitcases on my bathroom scale by holding them and subtracting my body weight. One suitcase is currently sitting at 60 lbs and 53 lbs respectively and that’s after I’ve taken the heavy stuff out and put the books and things in my carry-on bag. Yikes. 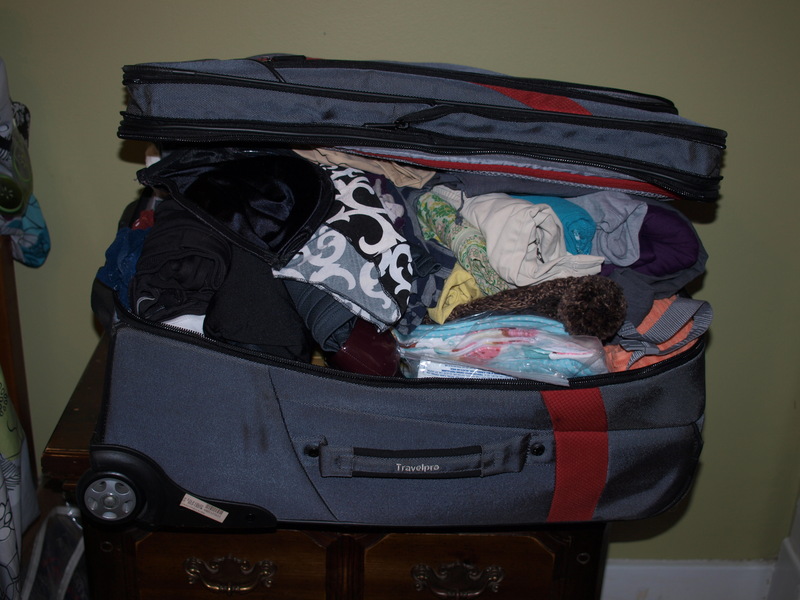 By the way, if you all have any suggestions on how to lighten my packing load please let me know. Also, I’ve hit another bump in the road this week. Saturday my tooth started hurting and when I went to the dentist yesterday afternoon they said I needed a root canal. I scheduled an appointment with the specialist today but by the time I got into the Endodontic office this afternoon the right side of my face had swelled up like a chipmunk. Rather than complete the root canal today he said I have to let it drain for 48 hours before he can close it up. That and a round of antibiotics should do the trick. On the plus side, at least my tooth went out on this side of the big pond rather than when I’m over in China. Ever since my Recovercare training at work on Blood-born Pathogens I’m scared to death of getting Hepatitis or something (and yes I have had my round of shots) thankfully. better now than later. Will have to think on how to lighten your luggage. Chrissy, roll your clothes up, plus it helps with wrinkles.